I used my Silhouette for the die cutting along with Basic Grey papers and a Technique Tuesday stamp. Thanks for stopping by! Hope you all have a wonderful, restful weekend! Just popping in to share a masculine birthday card. I used a Hero Arts background stamp for the the panel on the left side, first coloring the stamp with Memento markers before stamping it on white cardstock. I also used a marker with the sentiment stamp. 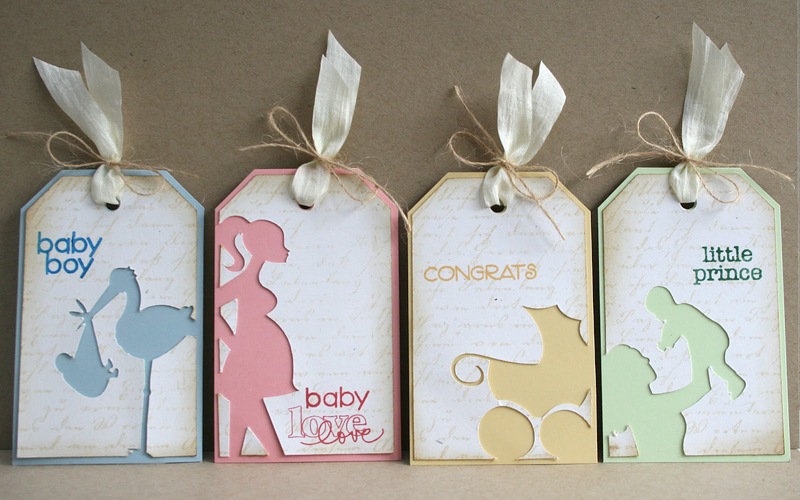 Popping in to share a Baby Tag set I made for Paper Crafts which can be found in the March/April issue. I *heart* this issue! Rainbow and Cameos and much, much more makes for a super fun issue! I used Hero Arts Old Letter Writing on the backgrounds and various Hero Arts sentiments ('love' in 'baby love' is from Technique Tuesday). Edited to Add: I saw this was pinned on Pinterest and someone was asking how they were made. I used my Silhouette...put the tag up on in the program and put the image(s) on top so it cut both at the same time. 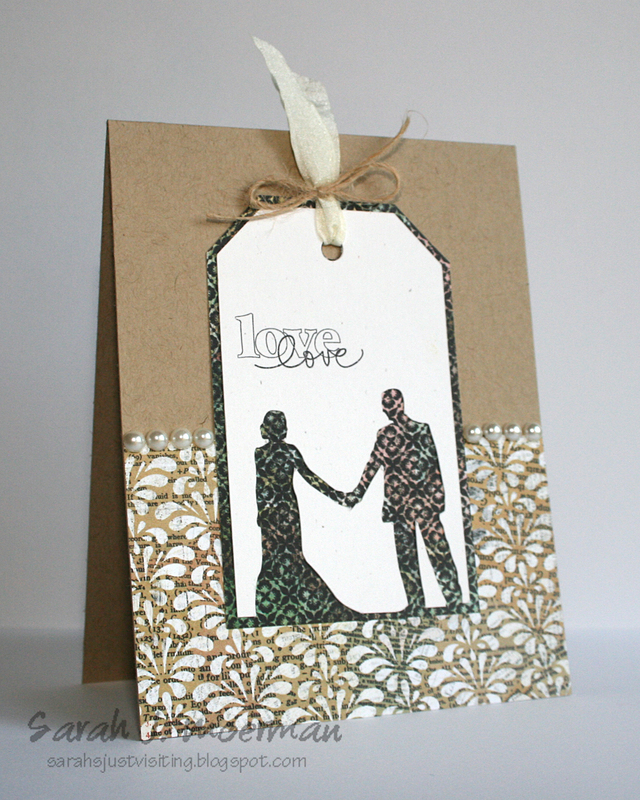 I then used the tag part (with the negative part of the other image and adhered it a piece of colored cardstock. 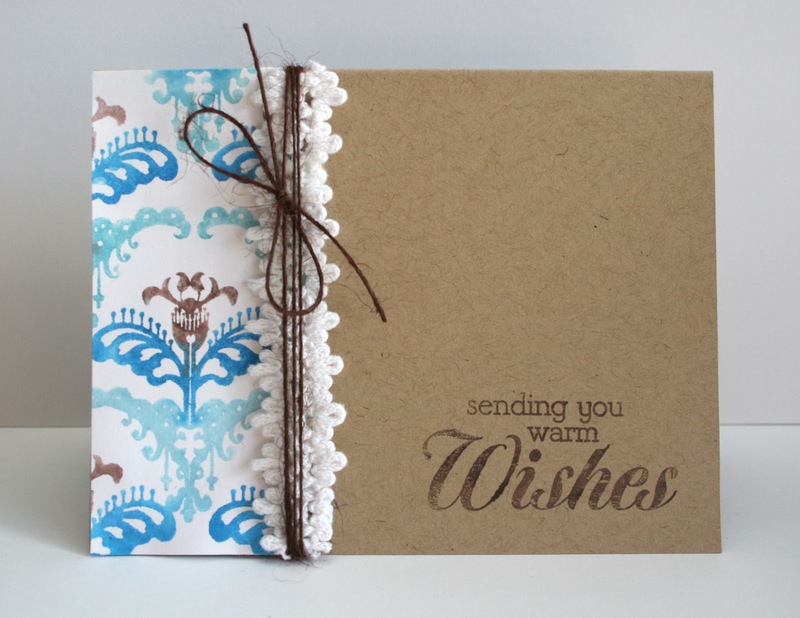 I then trimmed around the edge to create a border. Anyways, I'm going to hold on to a few of them yet but thought I'd share a couple today. Just popping in to pick a new winner for the Stamp It! 3 Ways issue. And here she is!!! Cute cards! Love the circle scallops! Just popping by to share a card I made for a sweet 3 yr old boy from our church. My daughter went to his birthday party today (while we hosted a 'friend' party for our oldest). It was a busy, but good, day. 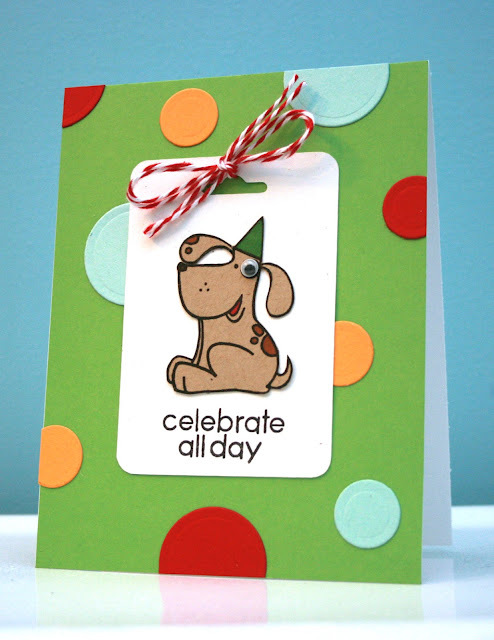 :) Anyways, I used the fun Birthday Buddies set from Paper Smooches to make this card. Also, I haven't heard from the Stamp It! 3 Ways winner yet...so Beastybunny, if you're out there please send me an email. :) If I don't hear by early next week I'll be picking a new winner.